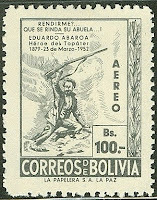 In 1952, Bolivia issued a compound set of twelve stamps honoring Eduardo Abaroa, its foremost hero of the War of the Pacific (1879–1883), which pitted Chile against Bolivia and Peru (Scott #365-70, C157-62). 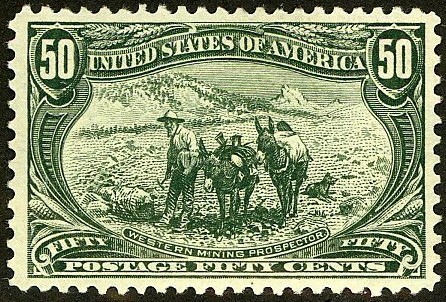 50,000 sets were issued, and Scott '13 prices the unused set at $ 21.05 . This set strongly appeals to Bolivian nationalism, and is yet another grossly undervalued issue from a Latin American country. Also, there are many collectors who focus on the region as a whole, which supplements demand for the stamps of the individual countries. 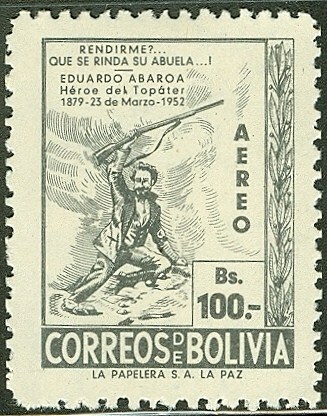 I have begun a new blog, " The Stamp Specialist ", featuring my buy lists for stamps which I wish to purchase, including some Bolivian stamps. Periodically viewing dealers' buy lists is an excellent way to remained informed about the state of the stamp market.